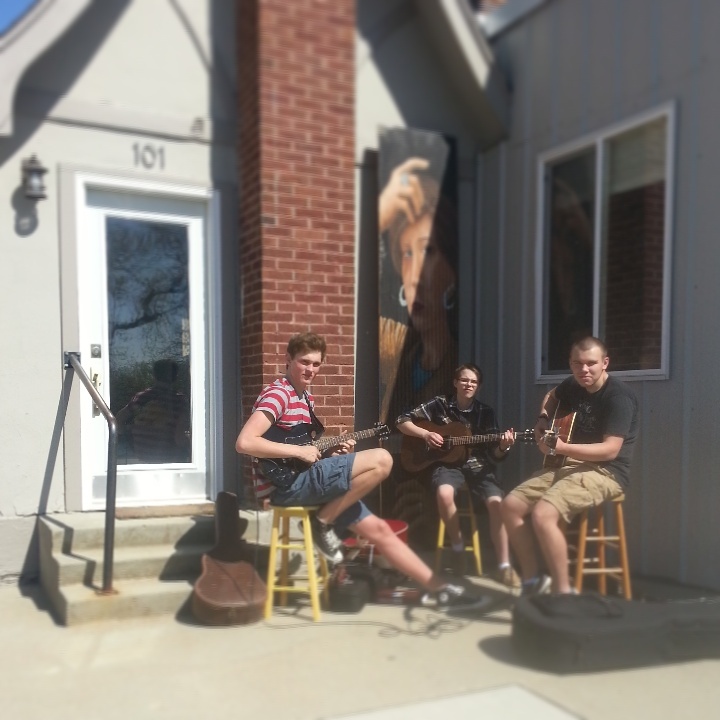 This is the nucleus of greenwater’s garage band–Ben | Nathan | Jackson. They have been practicing at the garage on irregular Thursdays when the Robotics, Theater and sports activities don’t otherwise engage them. After a long winter, they decided this past Thursday warranted playing outdoors so they could feel the sun and all of New London could hear their riffs. Their jams are sometimes organized, sometimes not. Always fun, however. They are even starting to attract groupies, so things are looking up! Once summer comes, we cannot promise a regular schedule, but my advice is this: When approaching the intersection of 1st & Main on a Thursday–slow down just in case. Things are starting to get serious.